For sale by owner (FSBO) listings can be an incredibly effective way of gaining quality leads if you take the right approach. In this article, we’ll offer you two free FSBO scripts and show you how to use them to develop a relationship with the homeowner, showcase your value, and ultimately convert the lead. When looking for a consistent source of quality FSBO leads, try using a lead management software like REDX. It constantly searches for and sends you viable FSBO leads, with the most recent contact information, up to 24 hours before any other service. It even has an autodialer that only connects you to leads who are ready to talk. Click here to get started. FSBO scripts should be brief and to the point, yet cordial enough to build a genuine relationship. Here are two FSBO scripts you can use, whether calling a newer listing or a listing that may have been sitting on the market a bit longer. Hi, my name is ____ and I wanted to chat about the home listed for sale. Are you the homeowner? I work with __[brokerage]__and understand why you’re listing by owner with homes going so quickly right now. Is it still available? How are things going? (if great…congratulate them, if not, then ask what they’re struggling with right now and listen to what they have to say). I was calling because I might have some buyers who would like to see the property – is that something you’d be interested in? (if yes) I’d love to set up a time and iron out the details on that, is there a good time to meet? I’d want to see the property, and talk with you more about getting it sold. Hi there, I’m _____calling from _[brokerage]_ and noticed that your home has been for sale in the neighborhood. Are you the homeowner? I know you’ve likely had agents calling, so I don’t want to take up too much of your time, but I noticed it’s been on the market for _[insert approximate time]_. When are you planning on moving? [gives time] Where are you heading? [gives place] (say something good about it or ask questions). I was calling because I wanted to know if you were open to working with buyers agents. (if yes) Would you mind me coming by to take a look at your property to see if it might be right for some buyers I have in the area? Is there a time you’d be open to showing me around your home and just giving you some information in case you can’t get it sold on your own? Using FSBO scripts helps you to keep your focus, save time, and convert leads. According to a Massachusetts Real Estate News article, more than 80% of FSBO listings will eventually list with a selling agent. It is estimated that homeowners will be most receptive to an agent between weeks three and five of their FSBO listing when they begin to notice their home sitting on the market longer than peers with similar listings. Getting the conversation started early has advantages. Being an early agent to contact the homeowner and, being seen as positive and available, will make you more likely to be the person they respond to as you continue to touch base with them. They may not respond immediately, and that’s okay. Follow their journey, talk to them at regular intervals, and allow them to save face when the time comes to list. The key to converting a FSBO to a successful lead, is persistence and follow up. Be sure to have their information in a CRM that will remind you of follow-up opportunities, and keep your lead information well-organized as you set aside time daily to prospect. FSBO leads may have to be contacted four or more times, but these scripts will get you started in the right direction to set up an initial meeting. Use these scripts as a guideline, but remember to let the conversation flow organically so that you don’t risk it sounding like a telemarketer’s pitch. When using the FSBO scripts we provide, always be sure to keep the conversation sounding natural, and use your script to keep focus and direction as you navigate the interaction. Always, without exception, be sure you are speaking to the homeowner on the phone. The person who owns the home is able to make the decisions, and with a number of agents calling, you will likely not receive a call back if you leave your information. People are usually attempting to sell their own homes to save commission fees. Be open to hearing about why they decided to sell their homes, and what their circumstances might be. At times, you’ll learn of bad experiences with prior agents, or a true financial difficulty that might give you the opportunity to let them know that commission rates are negotiable or that pricing higher might be an option to cover these fees. Be helpful, and be genuine. While the homeowner is not your client just yet, people are more inclined to hire individuals who they feel respect and hear what they have to say. Create a positive first impression, and respect their decisions even when you may feel they may be misguided. An upcoming move is exciting, and joining in that emotion helps to create urgency to move from the place they are living currently. Where are they going? Why are they moving? Often times, moves are related to wonderful events such as wanting to be closer to grandchildren, a new job, or retirement. If homeowners can’t wait to get to where they are going, selling the house quickly becomes more attractive. Most homeowners will not immediately list with you on the first call, so you have to find a way to continue the conversation. Demonstrating how you can add value can be as simple as bringing up the subject of buyers you might have, and/or setting up a time to tour the property. Your patience, showing your value, and being willing to work with a FSBO home owner where they are at, can lead to greater rewards in the future. The best time to call a FSBO listing is after working hours on a Monday. While traditional listings are booked solid on Saturdays and Sundays, often the weekend highlights the ineffectiveness of a FSBO approach to owners. While there is some divide over whether agents should call when the listing first hits the market or when the listing has been sitting for a while, one thing that’s not up for debate is the need for a reliable phone system to make your calls. You’ll want to call at the time that’s convenient for the homeowner but in a manner that’s convenient for you as well. Many real estate agents opt for an internet (VoIP) phone service, like RingCentral, when cold calling. RingCentral is a cloud-based phone system that allows you to make calls from anywhere you have internet. It even allows you to easily sign, receive, or send documents no matter where you are and gives you a separate business number that forwards to your cell phone, so you always maintain professionalism–even on-the-go. Click here for a free trial. If you tend to get a bit nervous before calling a homeowner, here are 25 cold-calling tips that will get you mentally prepared. Converting FSBO listings is always a numbers game, and the more leads you have, the better your chances of conversion. Here are both paid and free options to find your next FSBO listing. Both REDX and Landvoice are considered to be industry leaders in providing solid FSBO leads, and hover around the same price point. REDX is currently $39.99/month and Landvoice is $87/month with both offering a month-to-month contract. While both REDX and Landvoice offer solid leads and services which help you see the progress of leads throughout their cycle of relisting or agency representation, REDX offers more of them at a more affordable price. Click here to get started with REDX. Zillow is a solid platform for real estate prospecting. 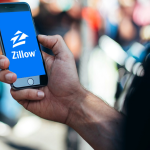 While it isn’t an official listing on the MLS, and is not always current, Zillow offers homeowners the possibility to list their home for sale, post interior photos, and name their price. 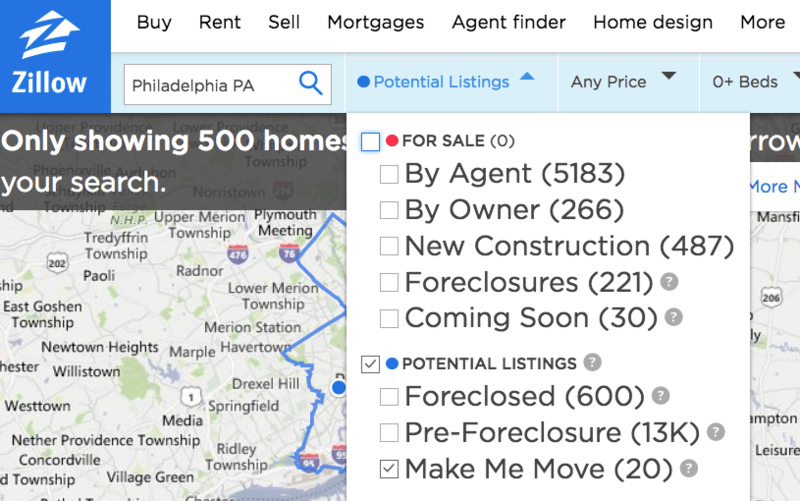 Using Zillow can be an easy daily scan to prospect for FSBO listings. 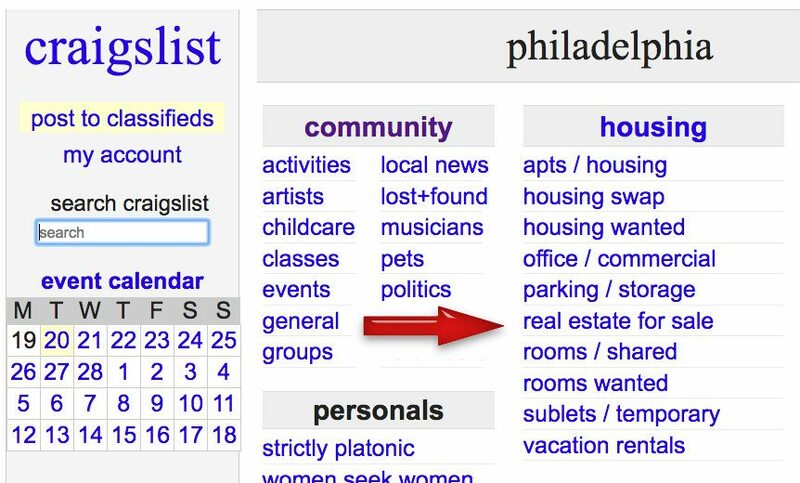 The benefit of using Craigslist for real estate prospecting is that it is both free and hyperlocal. While owners can choose the manner that they wish to be contacted, phone numbers are commonly provided on such listings and give you the opportunity to use FSBO scripts that work well. For Sale By Owner gives you the opportunity to both search and reach out to local FSBO listings. Owners on this site are paying money themselves to list here, and some may be paying up to $499 (their premium service charge). Should they not see movement in their home at such a high price point, owners here may be particularly frustrated at the lack of attention their home is getting if on the market for a bit. These will be individuals who likely do not know how to market on their own, and provide a solid point for agent entry. If there is one key to converting FSBO listings, it is to follow up on every lead on a regular basis. Building a relationship takes time, focus and effort. Have the patience and persistence to meet owners where they are at, listen to their needs, and be their solution when the time comes. Make sure you keep client information stored in an organized manner. Try using a CRM like Pipedrive to track relationships with customers and the stage of any potential deals. Pipedrive has a visual pipeline to easily see what the next step is in the sales cycle. It even has an app for quick on-the-go use. Try if free for 14 days — no credit card required. The best FSBO scripts save you time and effort, while effectively helping you to connect with homeowners in a way that furthers conversation. Whether finding your leads through free or paid methods, FSBO scripts should always come from a place of understanding, and create a relationship with the homeowner. While following up is the key to landing these leads, using the FSBO scripts and tips provided above can help you become the obvious expert they turn to when finally deciding to list their home with an agent.